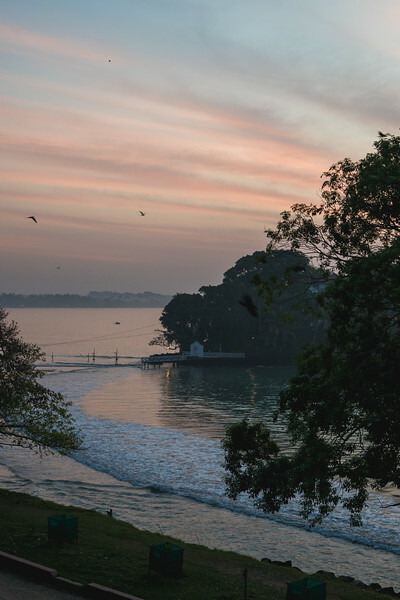 To rise with the morning sun is what days are made of in Sri Lanka. 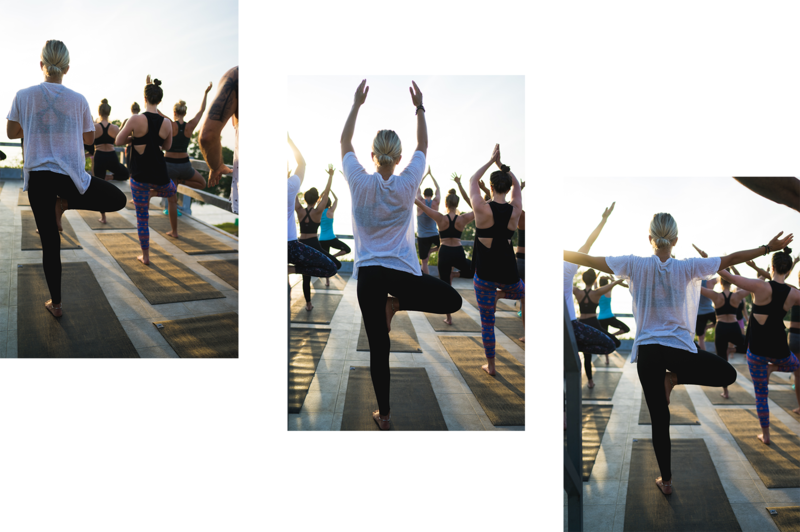 We couldn’t think of a better way to take advantage of these moments than with our yoga breakfast event. 14 yoga mats. 1 yoga teacher. 1 communal breakfast. This is the stuff paradise is made of. 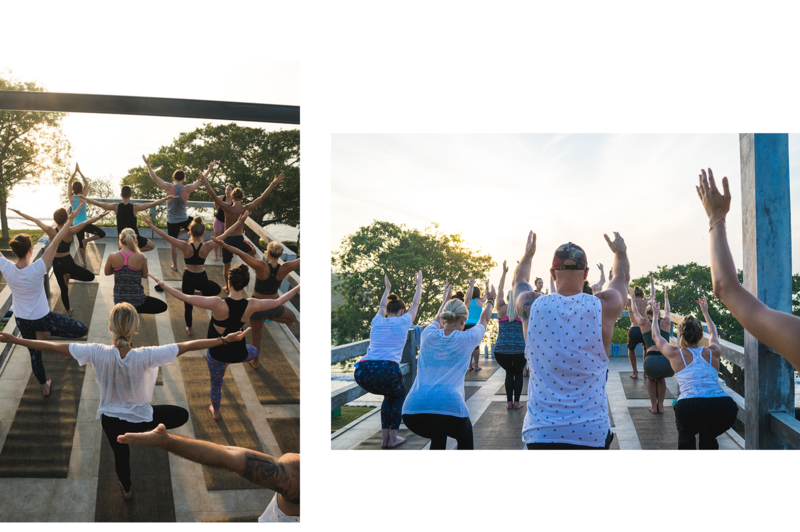 We started our yoga breakfast event right at 6:30, where travelers, yogis, and beginners alike joined in for a beautiful vinyasa flow led by our current yoga teacher, Ali. 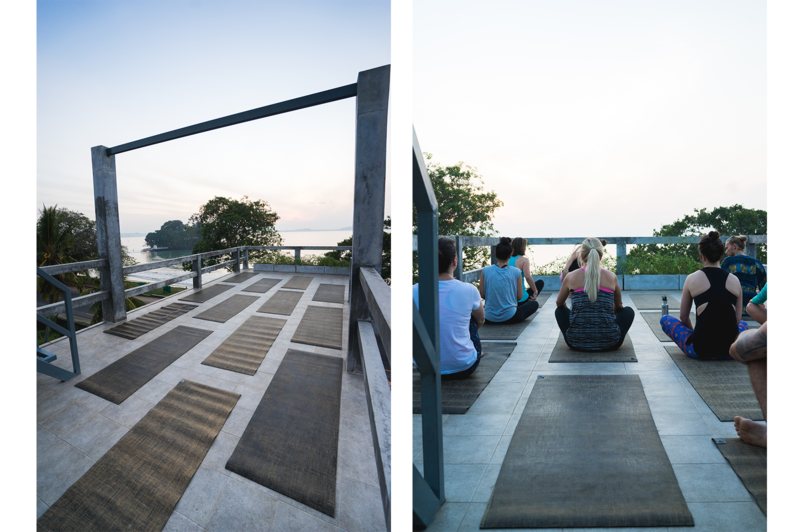 Just as the sun crested over the island up into the blue sky, visible from our rooftop, the practice was over and we definitely worked up an appetite. 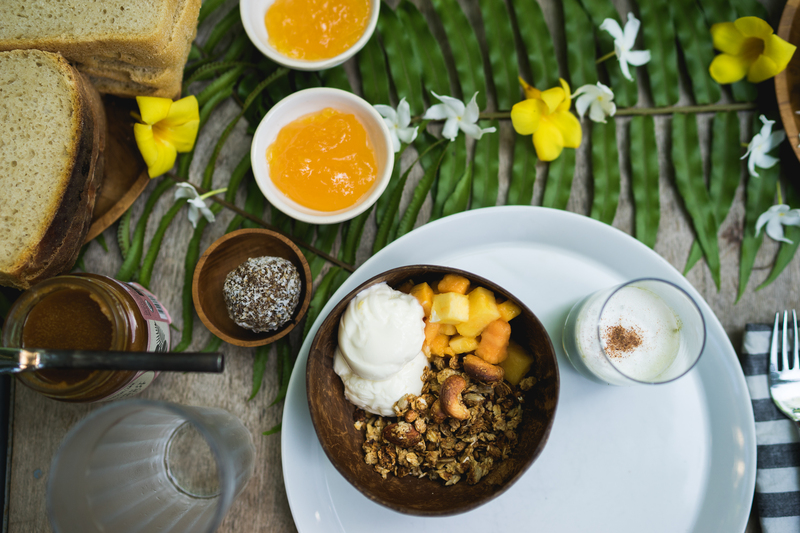 At the bottom of the stairs, awaited a communal breakfast complete with coconut bowls filled with yogurt and granola, platters of fresh tropical fruit, delectable smoothies, bliss balls, and of course, coffee and tea. 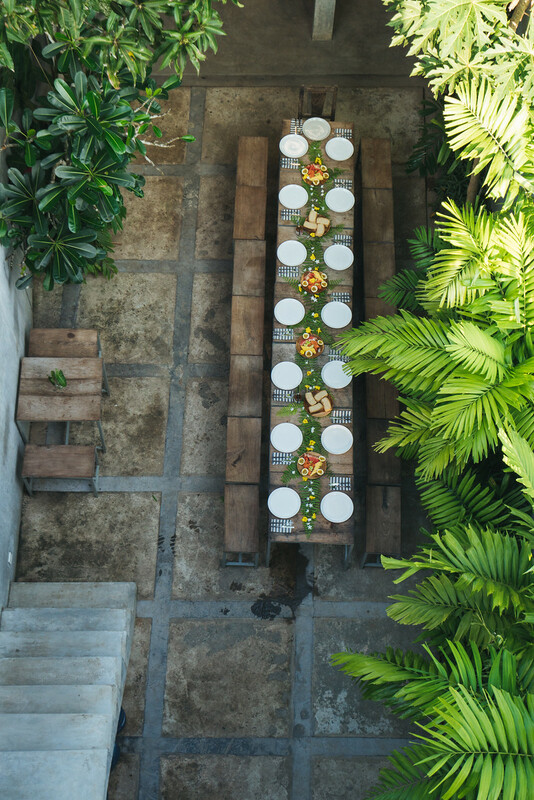 We met and conversed, swapping stories and tales of travels to come. If you missed this one, not to worry – we’ll be hosting these events on a biweekly basis. You can follow us on Instagram for dates on our next event. 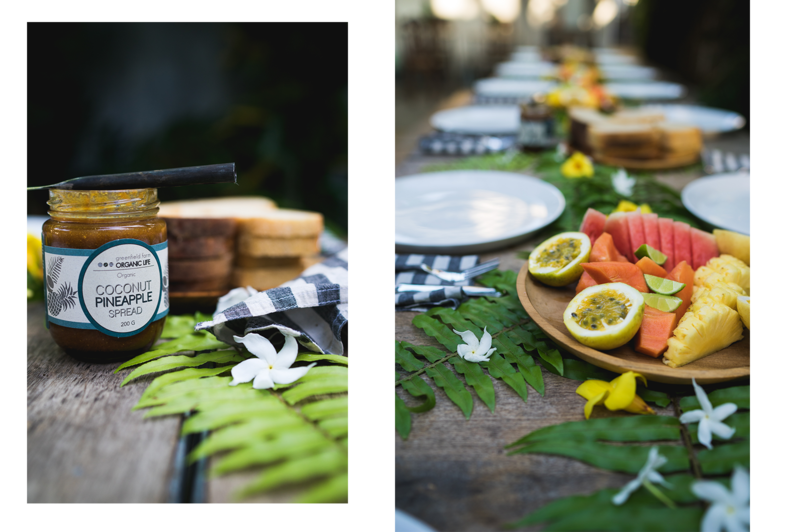 Or, if yoga isn’t really your thing we’ll be doing the same style breakfast followed after a dawnie surf session with dates to be announced.